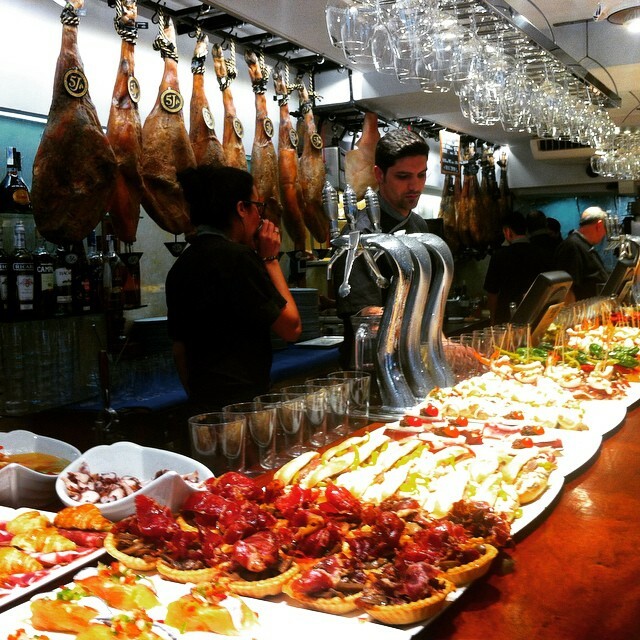 Get a taste for all things Spain! 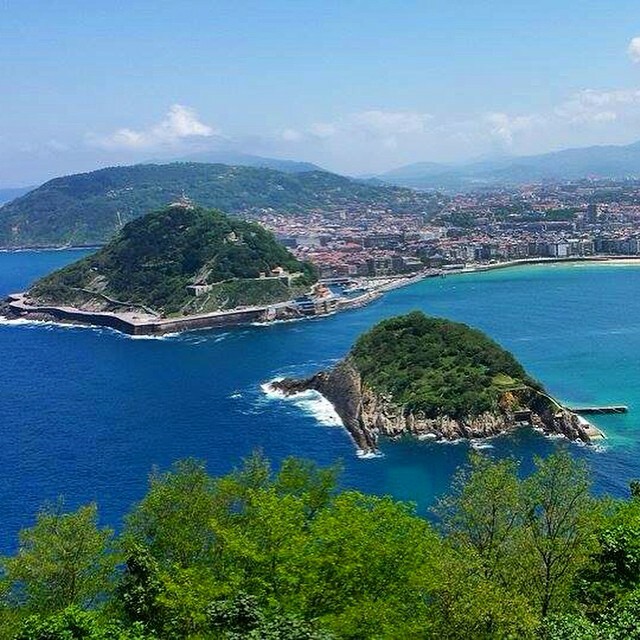 Starting from the capital Madrid, travel to northern Spain and get charmed by Basque, Navarre and Catalonia. 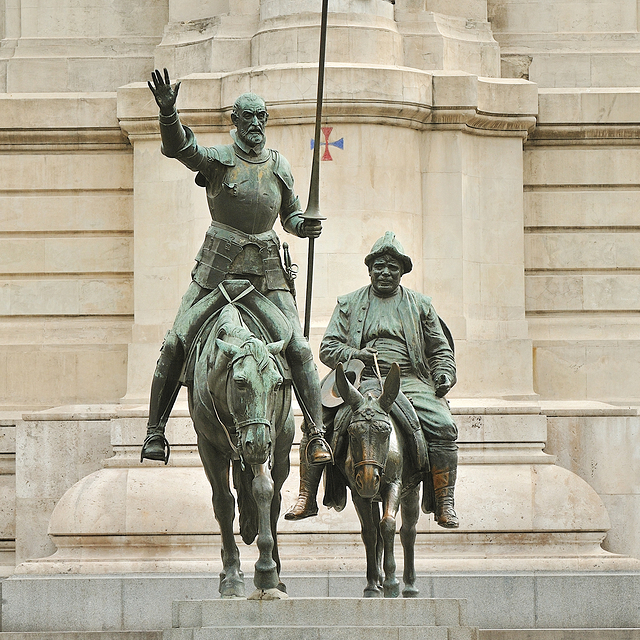 Also stop by Castilla La Mancha - the home of Don Quixote. Delve into real Spanish Paella in Valencia and taste Spanish wine in the heart of the Aragon region. If that's not enough, visit Pamplona, home of the bull run and Andorra, a stunning village wedged between Spain and France. 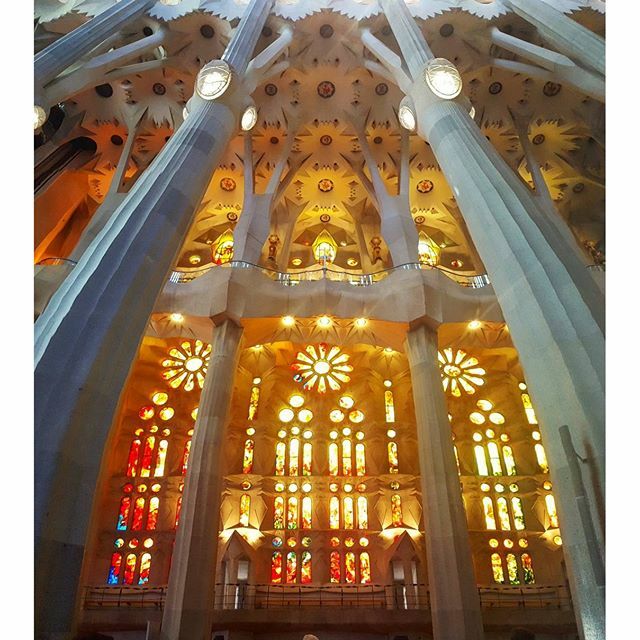 Finally, explore the famous Sagrada Familia in Barcelona. It's like walking around a living, breathing travel magazine! Welcome to the start of your Spanish adventure! Your tour leader will meet you at our hotel during the afternoon. After everyone's checked in, we'll enjoy an included dinner where you can get to know your fellow travellers and learn a bit more from your tour leader about what incredible experiences the next 7 days will bring! 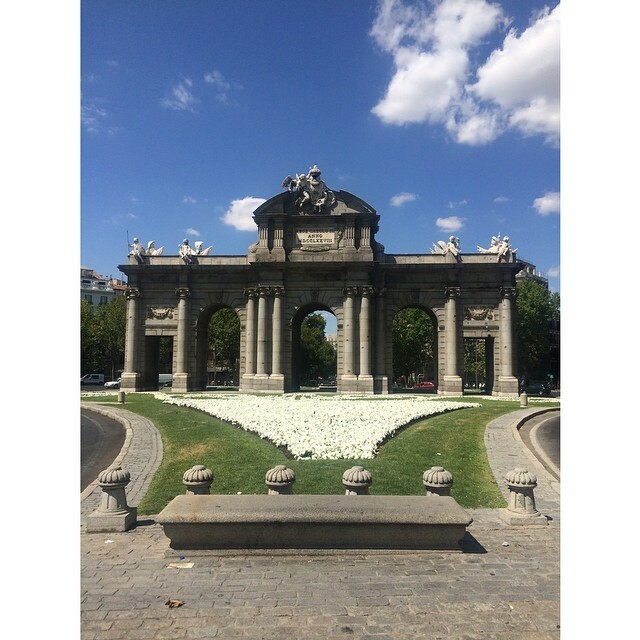 Join the tour in Madrid and, if you arrive early enough, explore the Spanish capital before meeting up with your tour leader and fellow travellers in the evening for dinner. This morning we’ll depart Madrid and make our way to San Sebastian on Spain’s northern coast. 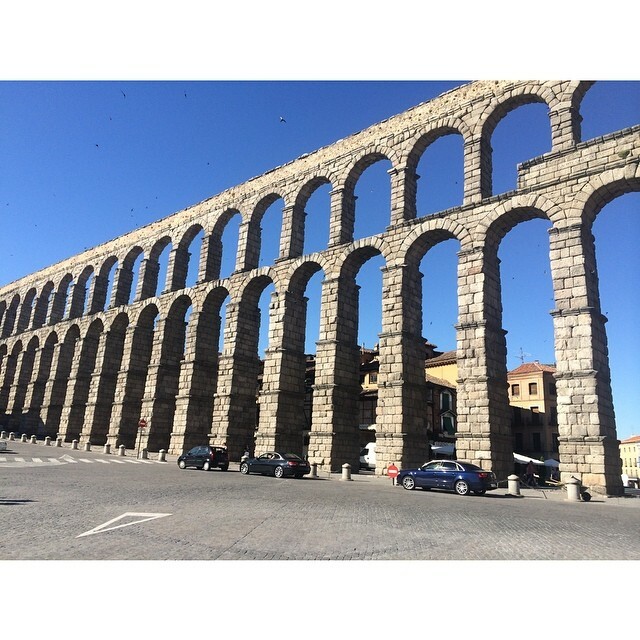 Along the way we’ll enjoy a comfort stop in Segovia, a picturesque UNESCO World Heritage Site city which offers the highest concentration of Romanesque churches in Europe, as well as an incredibly well-preserved Roman aqueduct that runs into the heart of the city. 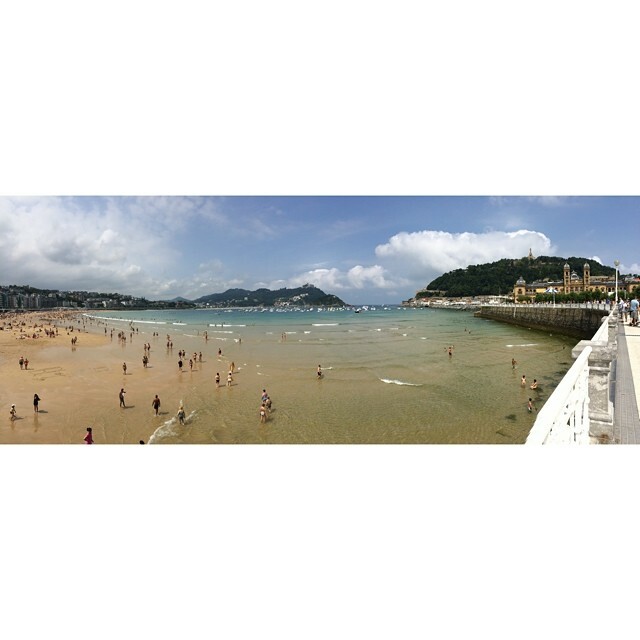 Later this afternoon we’ll arrive in San Sebastian, a charming city with a beautiful beach and vibrant nightlife. 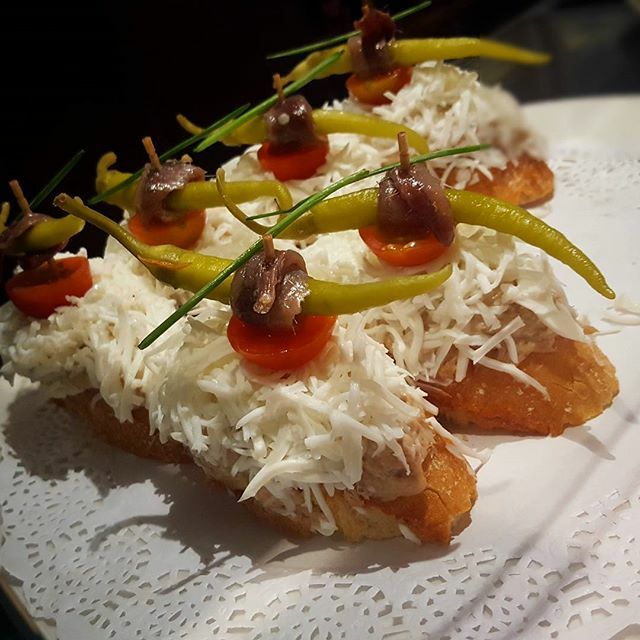 A foodie’s paradise, San Sebastian is known for its Basque gastronomy, so this evening is best spent exploring the beachfront bars and indulging in pintxo, northern Spain's version of tapas! 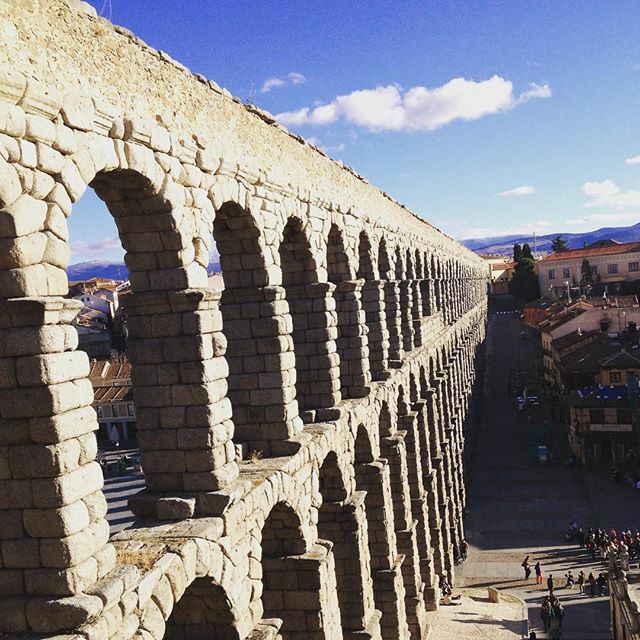 Explore the historic old town of Segovia, a UNESCO World Heritage Site. Highlights in the old town include the ancient Roman aqueduct, the Alcazar (royal palace) and Segovia Cathedral. 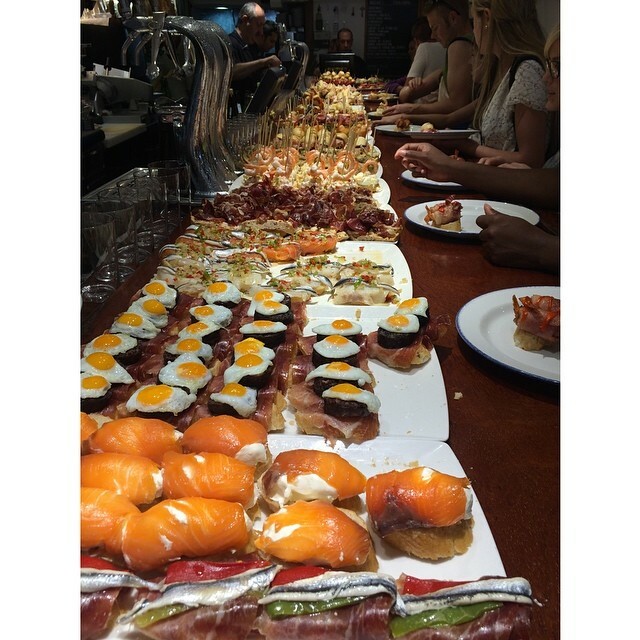 Enjoy a night in San Sebastian - relax on the beach and then get to know the locals as you hit the bars for traditional pintxo! 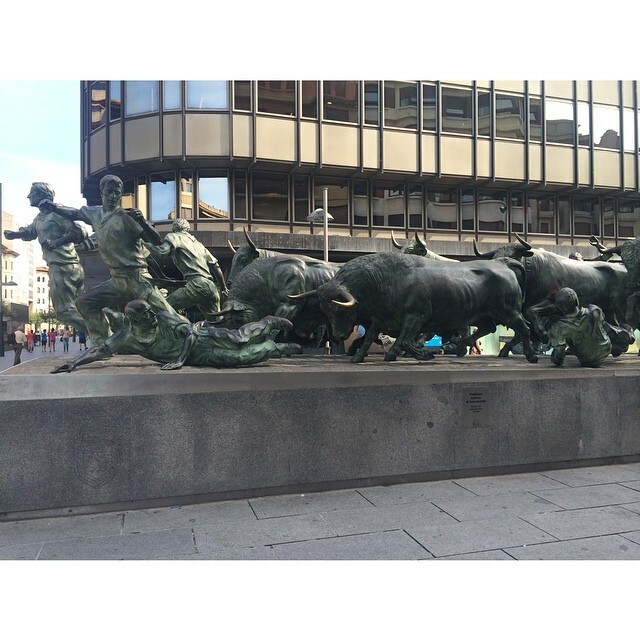 Our first stop today is Pamplona, the historic city made famous by “the running of the bulls” during the San Fermin festival. Packed with history, you’ll have some free time to explore the beautiful medieval city centre and see the city walls and citadel. We’ll then head to Zaragoza, enjoying a wine tasting along the way, before taking a walking tour of the city. The city has experienced a long and varied history, with Roman, Moorish, Jewish and Christian communities leaving their marks over the centuries, as seen in the Basílica del Pilar cathedral, Aljafería Islamic palace and the Roman theatre. Explore Pamplona, including the Baroque facade of the town hall in Plaza Consistorial, the Gothic church of San Saturnino and Cámara de Comptos (the oldest building in the city, dating from the 13th century). As we make our way from San Sebastian to Zaragoza, we'll drive through popular wine growing regions of northern Spain, and enjoy a tasting of local Spanish wines. Typical Spanish grape varieties include Tempranillo, Garnacha, Albariño and Macabeo. 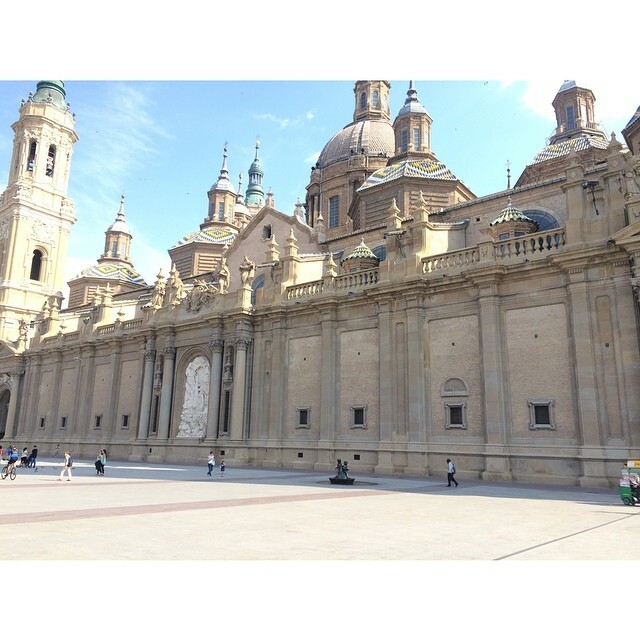 Enjoy a walking tour of Zaragoza and experience the legacy of the many different cultures that have influenced the city’s history. The city centre is compact and easy to walk around; perfect for an evening stroll. On our way to Barcelona we’ll take a comfort stop in Andorra, a tiny independent principality with a population of just 85,000, located between France and Spain in the Pyrenees mountains. We’ll enjoy some free time to explore Andorra la Vella, the highest capital city in Europe and a popular ski resort. Later this afternoon we’ll arrive in the cosmopolitan capital of the Catalonia region, Barcelona. Your tour leader will acquaint you with the city’s vibrant energy with a driving tour, so keep your eyes open for the famous Sagrada Familia cathedral, and some of the spectacular examples of Antoni Gaudi’s eclectic art and architecture. Comfort stop in Andorra - enjoy some free time to explore the sixth-smallest nation in Europe. Barcelona - enjoy a driving tour of this vibrant and diverse city that you can then explore further during your free day tomorrow. 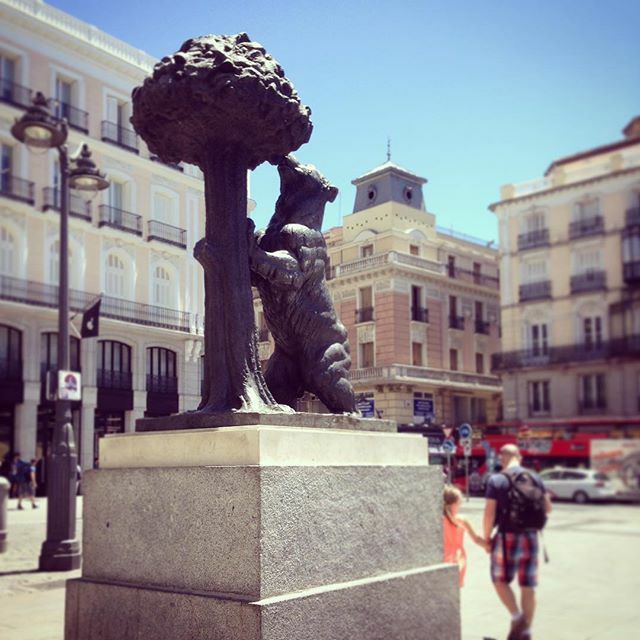 You may see La Monumental Bullring, Sagrada Familia, Casa Batllo, Joan Miro Park, Fountain of 3 Rivers, The Venetian towers, Magic Fountain, Poble Espanyol (Spanish Village), Olympic stadium, Port of Barcelona, Christopher Colombus Column, Las Ramblas, and a photo stop with views over the city. Today is all yours to do with as you please! 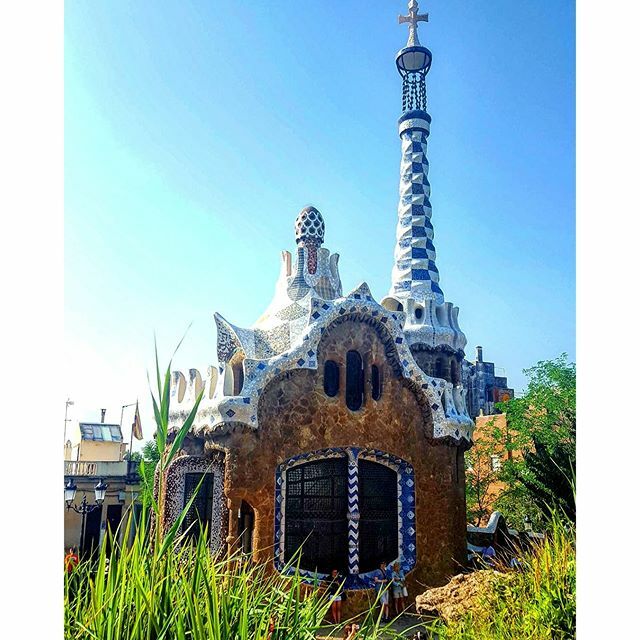 The best views of the city can be had from Park Guell, and you can take in the panoramic splendour and skyline of Barcelona. 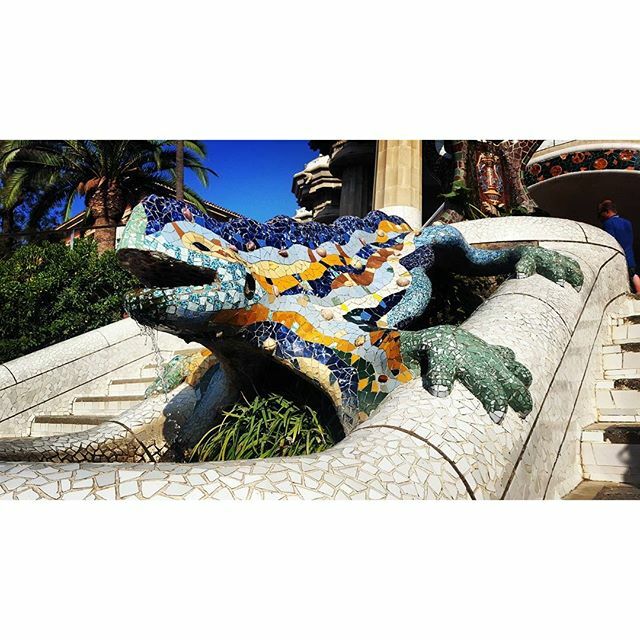 The park itself offers a very interesting design which is a product of Anton Gaudi’s challenging architectural visualisations. Barcelona is home to many of Gaudi’s building designs and you could spend the whole day simply locating each one. 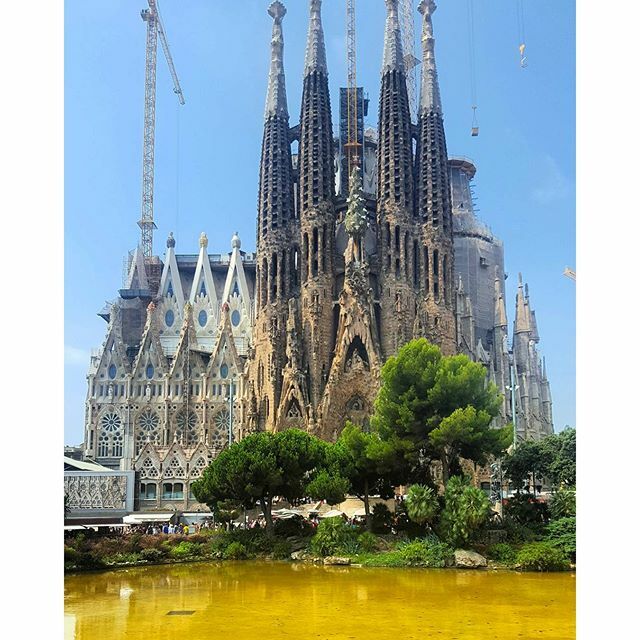 One of his most famous works is that of the unfinished Sagrada Familia - an interpretation of a Gothic cathedral which is unlike any building you will have ever seen. You can’t miss it from Park Guell, or most other vantage points in the city. 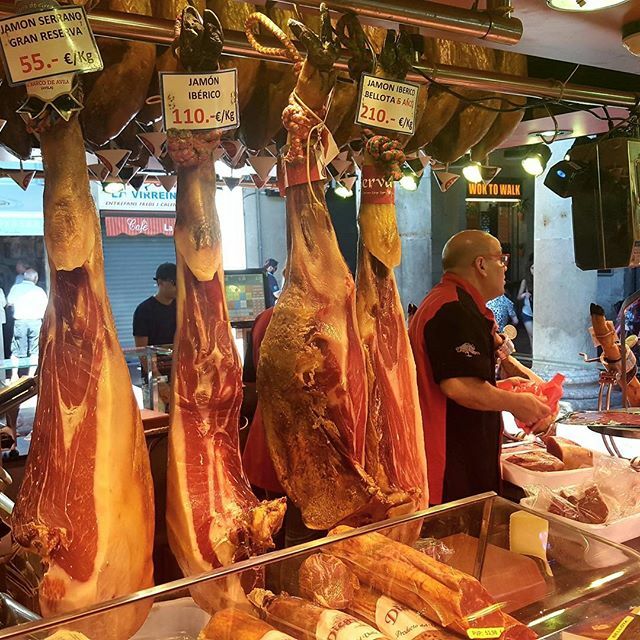 Harbour tours, La Ramblas, the ‘Old Town’, museums, art galleries and some of Europe’s best shopping - there is much to do in this incredible city. 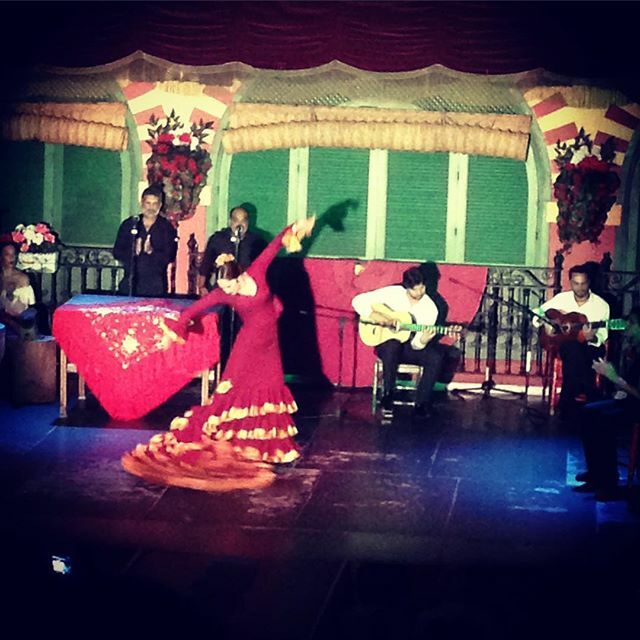 If you wish to participate in our optional excursion, we can organise tickets for you to see a traditional Flamenco show! The dance of passion is performed with style, flair and energy, and is a real experience not to be missed. Leaving Barcelona behind we’ll make our way south down the coast towards Valencia, stopping off along the way in Peniscola. 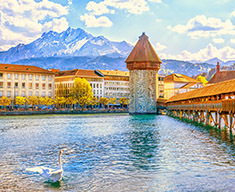 With a historic old town, beautiful promenade and sandy beach overlooked by an imposing castle built by the Knights Templar, there are few more picturesque places in Europe to enjoy a lunch stop. Once we’ve arrived in Valencia we’ll enjoy an orientation tour of this thriving port city, which retains plenty of historic charm despite the decades of development that have given it a distinct space-age feel. As our last night on tour, we’ll round off the day with a farewell paella dinner this evening. Enjoy a lunch stop in picturesque Peniscola, a fortified seaport on a rocky headland with only a narrow strip of land connecting it to the mainland. The castle was built in the early 14th century and served as the home of the Avignon pope Benedict XIII from 1415 to 1423. Orientation tour of Valencia - experience the bold architecture (both contemporary and art nouveau) - see the City of Arts and Sciences complex, Colón Market, Turia Gardens and the Cathedral. Enjoy a fabulous farewell dinner on our last night on tour, featuring paella in the city where this classic dish is so revered. 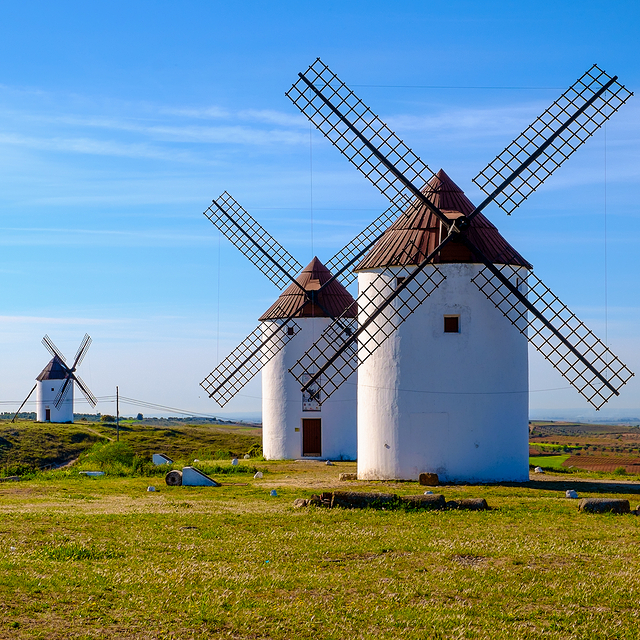 Our journey continues through the historic La Mancha region, made famous by the legend of Don Quixote. 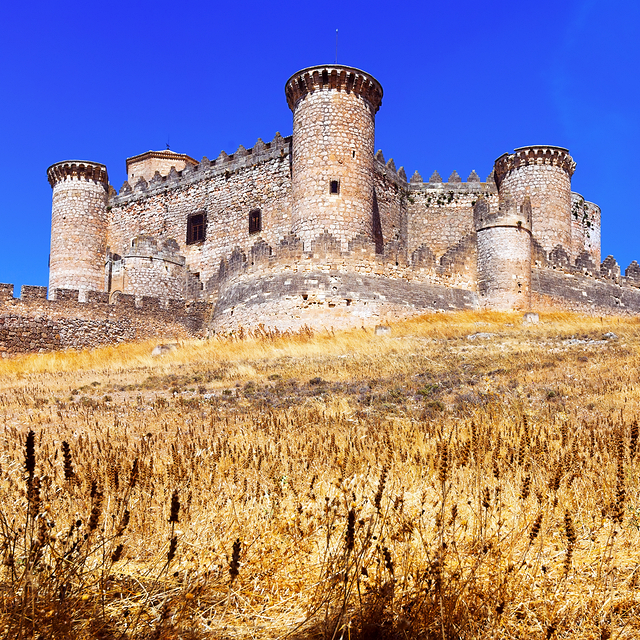 Later, we’ll explore Castillo de Belmonte, with entrance to this medieval castle included in your tour package. The interiors are dominated by spectacular stucco works in the Gothic and Moorish styles, and a beautiful Neo-Gothic courtyard. Later this afternoon we’ll arrive back in Madrid for the end of the tour. Visit Belmonte castle, with entrance included in your tour package. This beautifully restored medieval castle was built in the 15th century on the hill of San Cristobal. Certain nationalities may require a visa(s) for this tour. Please see our visas page for more information. It is your responsibility to contact the relevant embassies to confirm your visa requirements. 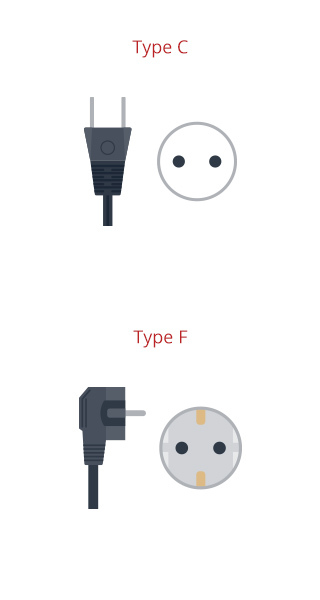 We can provide support documentation upon request, simply contact us. Your tour starts and finishes in Madrid. Please have a look at our Essential Tour Information page for detailed information.